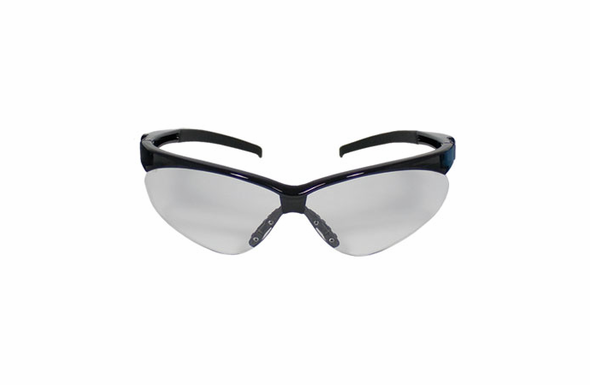 Sleek design with 8-base lens curve. Exceeds ANSI Z87.1+ 2003 High Impact Requirements. Soft nose piece, rubber temples and lightweight design provide user with a comfortable fit.